When Seeding Labs started, it was standard practice for founder and CEO Nina Dudnik to pull up to a loading dock with a rented U-Haul and dig through equipment in the basement of university and biopharma buildings around town. Things have evolved a lot since then, in large part thanks to Thermo Fisher Scientific. 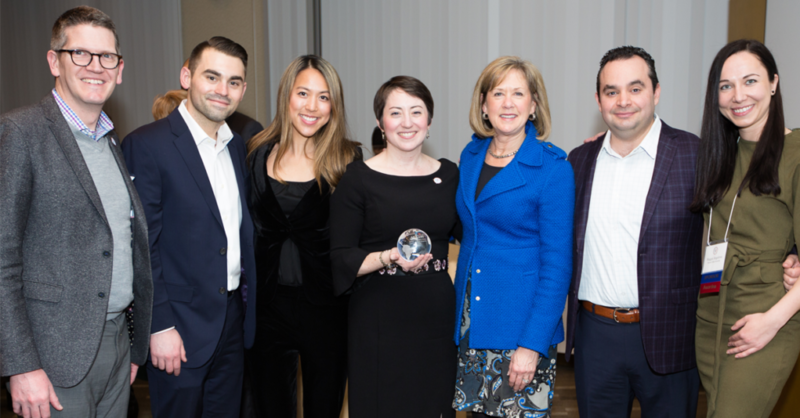 For pioneering programs that integrate participation in Instrumental Access with their core business, Thermo Fisher Scientific was presented with a 2018 Global Visionary Award at Positively Instrumental on March 21. In 2011, Thermo Fisher started with two firsts: the first equipment manufacturer to partner with Seeding Labs, and the first trade-in program to contribute to Instrumental Access. Thermo Fisher gave discounts to customers who “traded-up” their Nanodrop spectrophotometers, and then they sent Seeding Labs fully refurbished instruments. Thermo Fisher saw that there was not only an opportunity to do the right thing, but a chance to show that the right thing was good for business, too. There are now more than a dozen equipment manufacturers who have followed their lead and donate new or fully refurbished equipment! Thermo Fisher’s leadership has continued to hit new milestones. In 2016, they donated 168 pH meters and colorimeters - enough to meet the needs of Instrumental Access scientists for more than an entire year. Roberta Morris, the Vice President of Water & Lab Products (the division that donated those instruments), stayed connected to their impact. 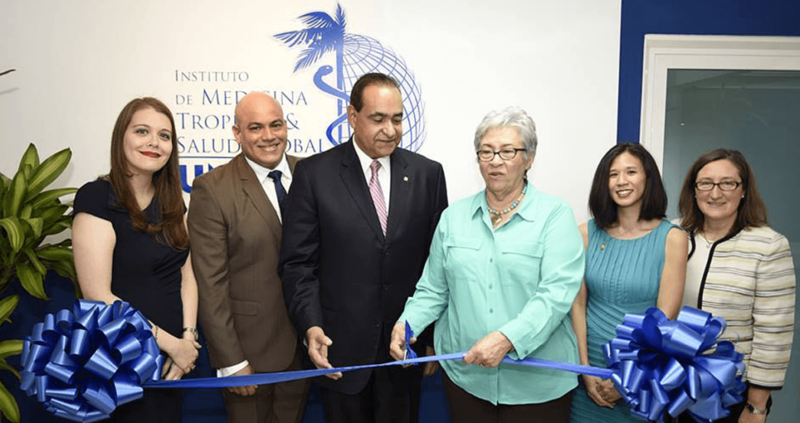 Roberta Morris of Thermo Fisher Scientific (far right) at the ribbon cutting for the Institute of Tropical Medicine and Global Health in the Dominican Republic. She joined Seeding Labs staff to visit the Dominican Republic for the grand opening of UNIBE’s Institute of Tropical Medicine and Global Health, a center equipped through Instrumental Access. Thermo Fisher has also led the way for their service division, Unity Lab Services, to manage the quality of the instruments Seeding Labs receives. They didn’t stop there—they pioneered cause-marketing campaigns and crowdfunding among their employees to support Seeding Labs' programs, while bringing awareness of their shared mission to a larger audience. "As the world leader in serving science, we have a responsibility to help bridge the gap in access to laboratories for researchers in underserved areas," said Karen Kirkwood, Vice President of Corporate Communications and Public Relations at Thermo Fisher Scientific. "We're proud of our long-standing relationship with Seeding Labs and we look forward to supporting them and their ongoing efforts to help researchers advance science globally," she said. Left to right: Karen Kirkwood of Thermo Fisher Scientific, Dr. Apollo Maima, and Nina Dudnik. 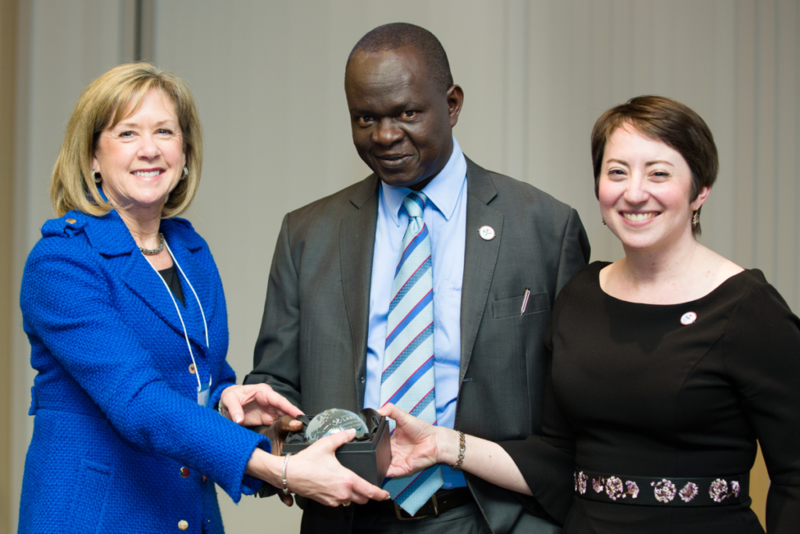 At Positively Instrumental, Seeding Labs' CEO Nina Dudnik and Dr. Apollo Maima, an Instrumental Access 2018 awardee from the United States International University-Africa, presented the Global Visionary Award to Thermo Fisher Scientific’s Karen Kirkwood. Photo at top, left to right: Tim Fenton, Chair of the Seeding Labs Board of Directors and VP, Global Government Relations at Thermo Fisher Scientific, with colleagues Myers Beaird, Nicole Chan, Seeding Labs' Nina Dudnik, Karen Kirkwood, Mauricio Senties, and Maggie Angelova.